Prepping food before a festival can be one of two things: super fun or kinda stressful. 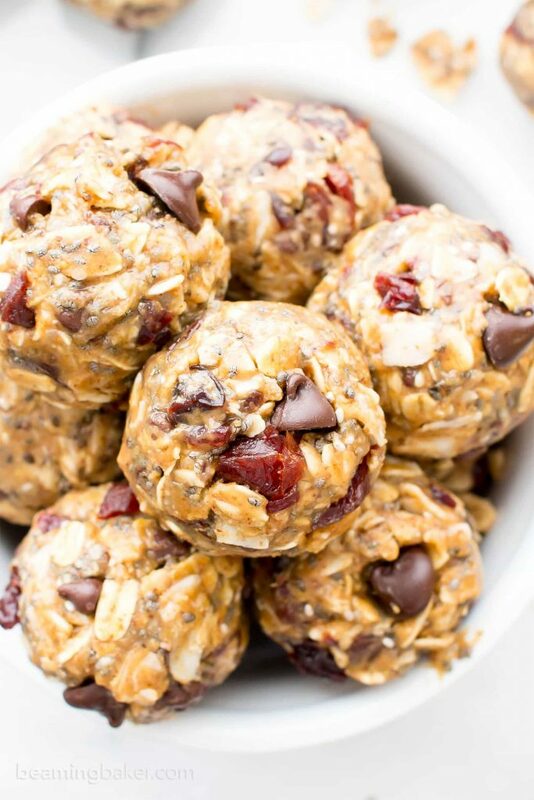 Thankfully these healthy little snacks are crazy easy to make and you don’t even have to bake them! Chalk full of energy in bite-sized nibbles, Momma’s Energy Bites will make you and your friends think you’re eating dessert… without the guilt. They’re curiously addicting, delightfully nutritious, and though they’re fantastic to share, you’re going to want to keep them all to yourself. Before we get to the recipe — it’s worth noting the origin of the self-proclaimed title of these snackers. Many festivals ago, my mom was kind enough to send me off with a generous care package. This, of course, included energy bites. Having pulled a basic recipe from Pinterest, she whipped up a batch and voila, a tradition was born. It’s become somewhat of an unspoken agreement that Mom sends me off with energy bites for just about every festival. “I’m going to Lucidity in April again, Mom!” I exclaim. To which she responds with a loving grin,”Energy bites?” Maybe it’s her enthusiasm that makes them taste that much better, but she also drops in a few extra items to add her own flare. The moral of the story is — these simple treats pack a whole lot of love in them straight from my momma. Which is how I arrived at the endearing name, “Momma’s Energy Bites.” Ready to mix ’em up?! Emphasis on the mix because no baking required! Depending on how big you roll these puppies, they generally make anywhere from 25-35 bites. Depending how tasty you make them, it may only serve one (i.e. yourself) hehe. 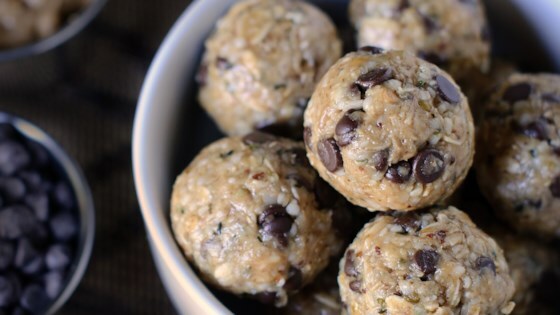 Eat immediately OR store in fridge or cooler and they’ll stay good for about a week!